Race 1 of the handicap series began with a beautiful spring/summer day (the clocks had gone forward). I arrived at where I thought the start was and waited for Chris and Wayne, who were putting out the signs. We set about giving out numbers and taking estimated times, In total 29 people turned up, which included 4 guests. 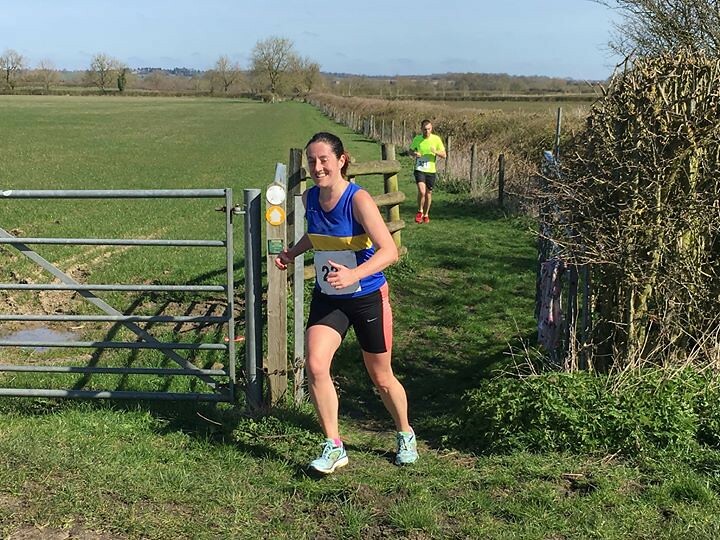 We were also grateful for everybody who turned up to marshal – we can’t do it on our own, so remember, if you’re unable to run please consider helping. First over the line was one of our newer members, Andrew White followed by ex-member Caroline O’Brien and then Barry Adams. Fasted time of the day was Pawel Langer in a time of 31:28 and Barry was closest to his estimated time. Thanks to everyone who turned up; see you on 4th May, at Brinklow.